This could increase the chances for Israeli President Netanyahu to win an election in three weeks. The Golan Heights was part of Syria and is area of about 1,800 square kilometers (690 sq mi). 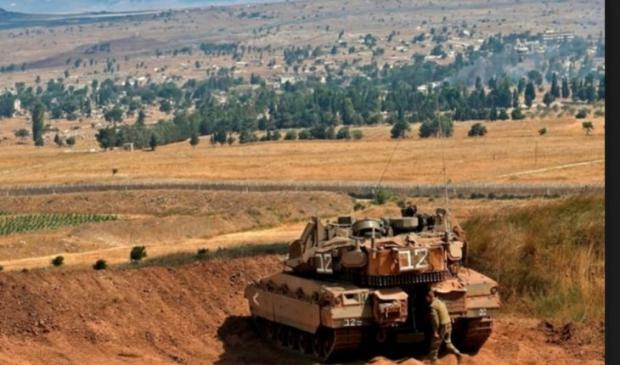 Since the 1967 Six-day War, the western two-thirds of the Golan Heights has been occupied and administered by Israel, whereas the eastern third had remained under control of the Syrian Arab Republic. It is a rocky plateau with an average elevation of 1,000 meters. Mount Hermon has a height of 2,800 meters over the surrounding area. The Golan is the high ground and military tactical advantage. If Israel did not have the Golan then Iran could use Syria to place missiles on the Golan to threaten all of Israel.